This lesson examines the motives and men who volunteered to fight for the British Army during the First World War, and features a letter from a young recruit to his mother. This is closely based on the letter written by an English soldier called Frederick Wade, which is in the collection of the Imperial War Museum. 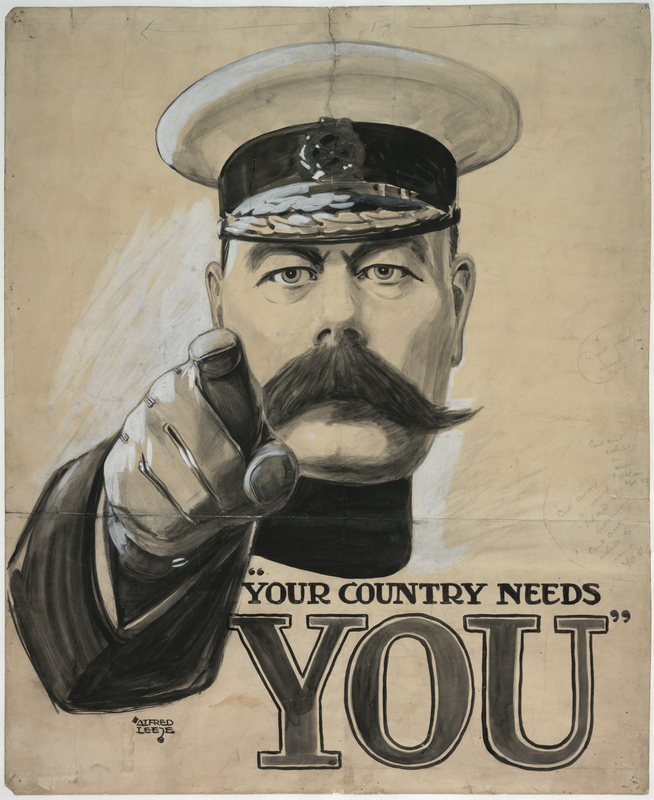 Students will start by looking at some First World War recruitment posters, like the one to the right, which men like Frederick Wade would have seen. The students will also have a group discussion about patriotism in the present day.